Ryan represents lenders, investors and developers in a wide variety of financing and real estate transactions. 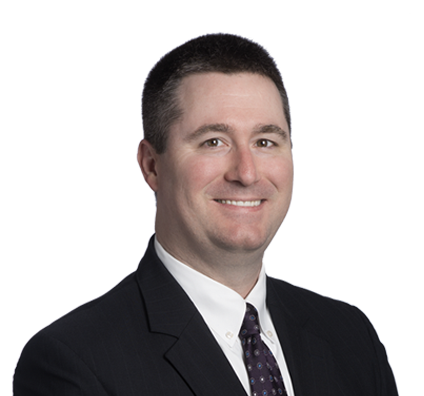 Ryan advises clients on the structuring and compliance components of traditional and tax-advantaged financing transactions, as well as legal and business issues arising during the course of negotiations and closing. He has extensive experience in asset-based, real estate-secured and mezzanine financing transactions, and advises national consumer and commercial lenders with respect to loan documentation and compliance issues. Represented a federal historic rehabilitation tax credit investor with respect to an investment in a $260 million luxury hotel development in Chicago. Represented a federal NMTC investor with respect to investments in the construction and expansion of two yogurt production facilities in Vermont and Arizona, with aggregate project development budgets of approximately $90 million. Represented a federal NMTC investor with respect to investments in a $40 million mixed-used development adjacent to the University of Louisville campus in Louisville, Ky. Represented a commercial lender in connection with a $43 million senior secured credit facility (revolving line of credit, term loan and construction loan) provided to a coal mining operation in eastern Kentucky. Ryan also has experience as a speaker and author on finance and tax credit law matters. Represented a federal NMTC investor with respect to investments in the construction of a refrigerated produce processing facility in Georgia. Represented a federal NMTC investor in connection with an investment in the construction of a $185 million silicon smelting facility in Mississippi. Represented a commercial lender in connection with the development of a $43 million office building project in Dubuque, Iowa. Represented a commercial lender in connection with the development of a $40 million medical facility project in Cedar Rapids, Iowa. Represented a consortium of non-profit organizations in connection with the development of a $13 million early childhood and family education facility in Kansas City, Kan. Represented a non-profit organization in connection with the $10 million rehabilitation of historic buildings in Kansas City, Mo., utilizing federal NMTCs as well as Missouri and federal historic tax credits.